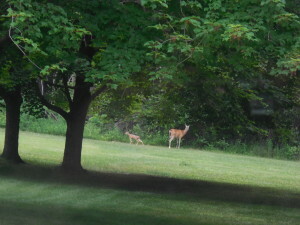 One of the best things about my home is being able to look out my window and see various forms of wildlife. 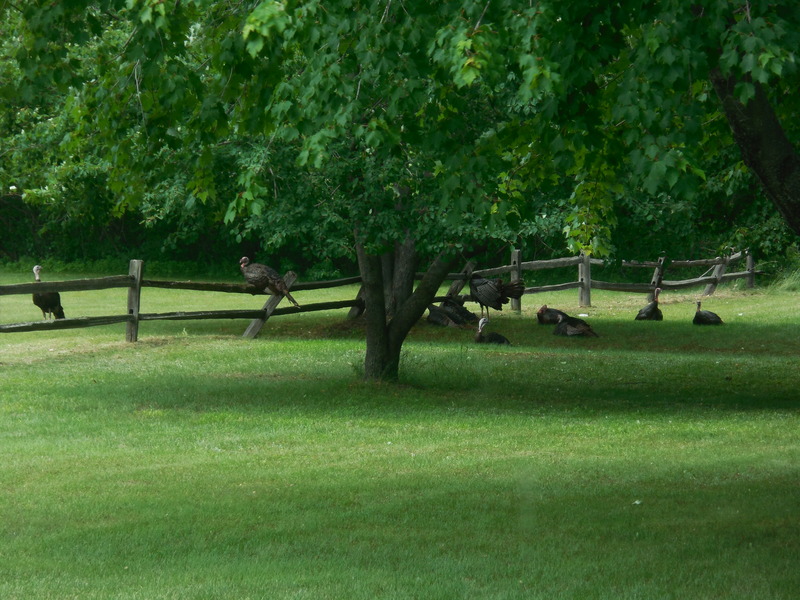 Turkeys are a regular visitor and one day I counted thirty-three of them in my yard. 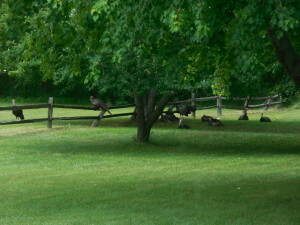 They do creep me out a bit when they perch on the fence. It reminds me of Alfred Hitchcock’s The Birds only they’re gigantic! I also enjoy watching the deer jump gracefully over the fence. Sometimes watching wildlife interferes with my writing. Right now there’s a new fawn in the neighborhood. I drop everything when doe and baby appear. The writing will get done eventually. This entry was posted in Uncategorized on July 1, 2014 by MaryGrace.